Corrosion resistant forged aluminium body. Five times tougher than non-stick. Soft touch handle. Long-lasting quality. 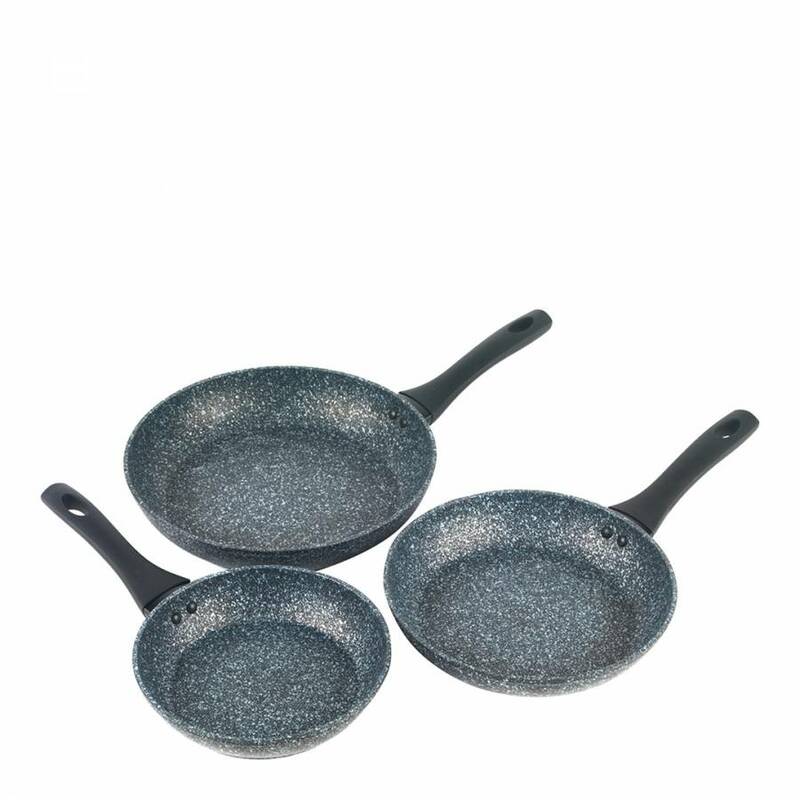 Set includes 20, 24 and 28cm fry pans. Suitable for gas, electric, halogen and induction hobs.